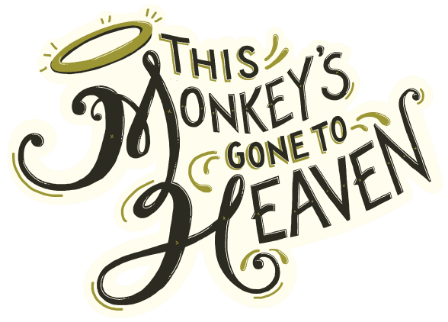 This Monkey's Gone to Heaven always strives our very hardest to make sure that products ordered and purchased online arrive at your door safe and sound! Each order is packaged up by us at the shop and shipped to you using either UPS or Canada Post. Shipping is typically determined by the average size of the product being shipped, as well as it's weight. Orders are sent out every Thursday afternoon, and standard shipping delivery times apply to all orders. *Order cutoff for Thursday shipping is Wednesday (day before) at 12:00pm. It is important to note, that since some items at the shop can vary quite a bit in size and weight, often standard shipping rates may not in fact reflect the actual shipping cost required for an item. Once you place your order, if there is an additional difference in shipping that is required we will contact you directly using the contact information supplied by you to inform you of the difference. You will then have the opportunity to decide whether you would like to move forward with your purchase or cancel. If you decide that the extra shipping changes your mind, we can gladly process a refund for the order placed. How come I am being asked to pay shipping on the Classes & Workshops? Since you won't actually be receiving anything in the mail when you purchase enrollment for a Class or Workshop - if you are purchasing online please select the "Pick up in Store" option when checking out. This will allow you to avoid incurring any shipping costs for your purchase! Refunds will not be processed for sales made for classes with shipping charges attached.